The Gustavus men's track and the field is set to compete in the Minnesota Intercollegiate Athletic Conference Outdoor Track and Field Championships. Macalester College will host the conference meet on Friday, May 13 and Saturday, May 14 in St. Paul, Minn. The Gustavus men's golf team moved into 16th place at the NCAA Division III Men's Golf Championships. Play was suspended with the Gusties still needing to complete the final six holes of the third round. After two rounds at the NCAA Division III Women's Golf Championships Gustavus Adolphus College junior Kelli Groff (Bloomington, Minn.) is tied for 19th place overall. Groff has compiled a 36-hole total of 85-83-168 (+24) and moved up six spots after the first day of competition. Gustavus junior Kelli Groff (Bloomington, Minn.) compiled an 18-hole total of 85 (+13) and is tied for 25th place overall at the NCAA Division III Women's Golf Championships. 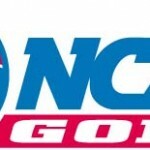 Gustavus men's golf team is currently in 23rd place (out of 23 teams) at the NCAA Division III Men's Golf Championships. The Gusties have compiled a 36-hole total of 329-317—646 (+70). The championships are taking place at the Mission Inn Golf and Tennis Resort in Howey-in-the-Hills, Florida. The Gustavus men's golf team compiled a team score of 329 (+41) and is in 22nd place after the first round of golf at the NCAA Division III Men's Golf Championships. The championships opened on Monday, May 9 at the Mission Inn Golf and Tennis Resort in Howey-in-the-Hills, Florida. The Gustavus men's track and field team competed at the Meet of the Unsaintly hosted by Hamline University on Friday, May 6 in St. Paul, Minn. No team scores were kept. Senior Alex Kestly (Chisholm, Minn.) won the discus throw with distance 151-9. The Gustavus women's track and field team competed at the Meet of the Unsaintly hosted by Hamline University on Friday, May 6 in St. Paul. No team scores were kept. Junior Kourtney Joyce (Wadena, Minn.) won the 3,000-meter steeplechase with a time of 11:26.79. Gustavus Adolphus College sophomore Jered Hokenson (Watertown, Minn.) compiled 5612 points to place fourth in the MIAC Decathlon on Friday, May 7. Hokenson won the high jump and the 110-meter hurldes.